More and more people want to attend sports games and music events. But it is precisely because of this high demand from ticket brokers; ticket acquisition is becoming more and more difficult. To make sure that you get your dose of adrenaline and attend such exciting events, you will want to increase your success rate. And the best way to buy tickets on Ticketing websites is using residential proxies. They are proxies based on real devices IP addresses from real users. By sending your request through residential IPs, it looks as if you were making it from a real user’s device. That way, your request will remain unrecognizable to the Ticketmaster website server. Besides, residential proxies are more reliable, more stable and more secure than traditional server-based proxies. For these and other reasons, you stand considerably better chances of buying those tickets when using residential proxies. To give you a clear picture why residential proxies are perfect for buying tickets online, we have compiled a list of five obvious reasons. As we have already mentioned, residential proxies provide a more reliable, secure and stable connection than your current Datacenter proxies. Don’t get us wrong ‒ this is not to say that your Datacenter proxy provider is lousy or anything along those lines. It’s just that residential proxies are more advanced. This goes especially for Ticketmaster residential proxies, which are designed for this specific purpose. When you are just about to click that buy tickets button, the last thing you want to happen is that your connection breaks or slows down. But with residential proxies, you will be able to check out in the blink of an eye. Finally, the fact that they rotate makes you practically undetectable to the Ticketmaster website server and also decreases the likelihood that any of the rotating IPs will be detected. With a rotating proxy service, there is no need for you to change each of your proxies manually. Instead, when you get a new round of residential IPs, simply copy and paste them into the application, and you are good to go, as they will switch automatically. You will get a new set of proxies each hour so, so there is no need to worry. Residential IPs are more difficult to detect. They are located in someone’s home and are therefore labeled in such a way that Ticketmaster will accept them as fully legitimate, unlike datacenter proxies, which will usually raise a red flag. Another feature that contributes to residential proxies looking more natural is that they also have lower speed than the datacenters. Again, this will make the Ticketmaster website server recognize that it is safe to let you buy tickets. Even though they are practically unnoticeable to web servers due to the aforementioned features, the benefits of residential proxies don’t stop there. 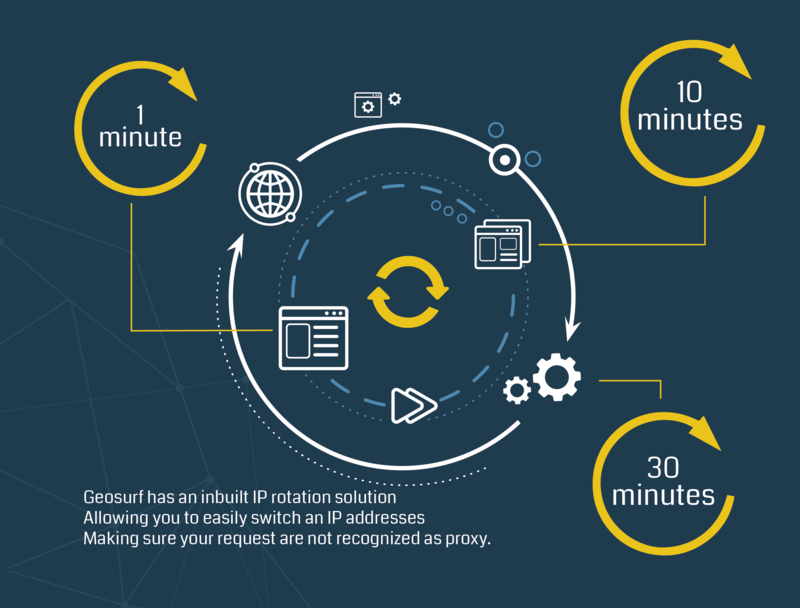 The fact that IPs rotate at regular intervals or with each request you send will enable you to always access the website from a different IP. So, practically, you will have an evergreen IP. It’s like an F1 race ‒ each time you go to the pit stop, you get a new set of tires. Similarly, you will always have new proxies, which will make you the winner of ticket-buying. Even if residential proxies are in fact more expensive on a monthly basis, they are much cheaper in the long run. For all the reasons mentioned above, with rotating residential proxies you will have a better connection, look more natural and save your time, which are all very important factors when buying tickets. Therefore, when you have a set of high-quality rotating residential proxies, there won’t be any additional expenses unless you want to upgrade. With over 60,000 top-notch residential proxies in the US alone and more than 2 million IPs in 130 countries worldwide, GeoSurf is the best option when it comes residential proxies for Ticketmaster.In the past, I mainly suggest your use the dedicated proxies for Ticketmaster, at now there are have other option.I would like to suggest you use Residential IP Proxies for Tickets Sites. One of the Residential proxy service which i used is the GesoSurf, which offers the ideal solution to all of you considering to buy rotating residential proxies for Ticketmaster. 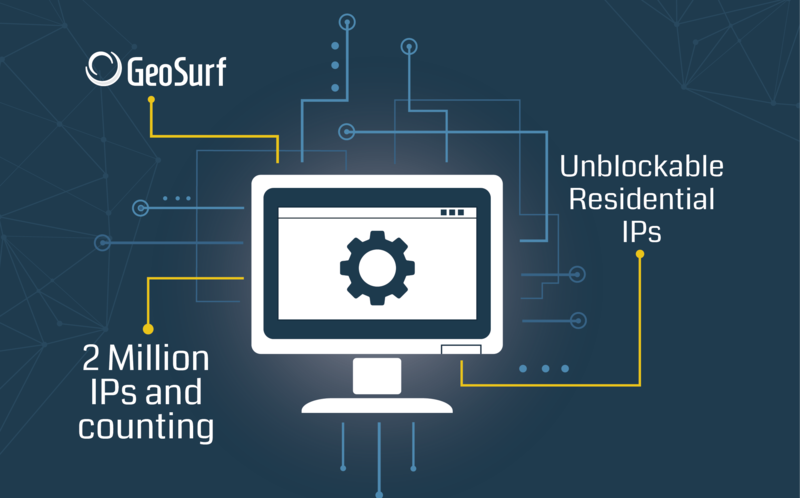 GeoSurf residential IPs will never get you blocked as they are never detected as proxies. When you use their proxies, you will get full access to their pool of residential IPs and be able to buy your tickets at the stroke of a pen. In addition, their customer support team is professional and is always there to help you out. Not that you will need a lot of help, but just in case. If you want to try GeoSurf residential proxies, you will be even happier when you hear this. With a coupon code TICKET_PROXY that is available at the moment, you will get a $15 discount on the regular price during the first month of using GeoSurf residential proxies.